Toyota's new Corolla sedan is designed to appeal to the heart as well as the head with advances in design, roominess and driver enjoyment as well as perceived and sensory quality. Designers and engineers have crafted a larger and more elegant exterior with greater on-road presence and an upscale interior that provides more space, comfort and practicality. A significant advance is the 100mm increase in the length between the front and rear wheels, providing greater design freedom that results in a more expressive body with dynamic proportions. The added length has liberated more space for five adults in a quality interior that features high-quality materials with consistent execution of colours and textures, including soft-touch surfaces. Driving feel has been enhanced through a lower centre of gravity, lighter yet more rigid body structure and by pushing the wheels closer to the corners of the car. Improved suspension calibration, more direct steering response and key powertrain improvements, including a new seven-speed Multi-drive automatic transmission, come together to provide a more engaging driving experience while reducing fuel consumption and emissions. An increased focus on driver enjoyment has resulted in a lighter, yet more rigid body structure, more ergonomic steering-column angle and redesigned front seats that offer greater comfort and a wider range of height and slide adjustments. Toyota's Melbourne-based technical centre refined the chassis package to suit local driving conditions and driver demands, particularly on undulating country roads and unsealed and corrugated surfaces. Technical centre engineers re-calibrated Corolla's electric power steering to ensure ease of parking as well as an intuitive level of steering response through roundabouts and on winding mountain roads. 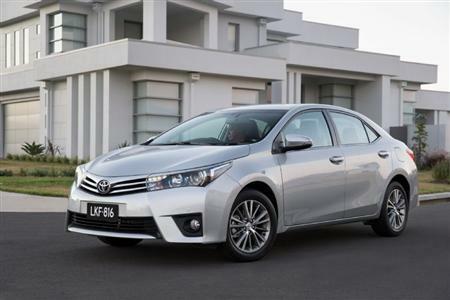 Toyota's executive director sales and marketing Tony Cramb said the new sedan is destined to build on the success of Corolla as Australia's best-selling car in 2013. "New Corolla - with its more stylish exterior, premium interior and fun-to-drive dynamics for both the sedan and hatch - demonstrates that Toyota is capturing greater energy and emotion in its cars," Mr Cramb said. "At the same time, Corolla is expanding its legendary reputation for reliability with enhanced quality, expanded safety features and impressive value for money." 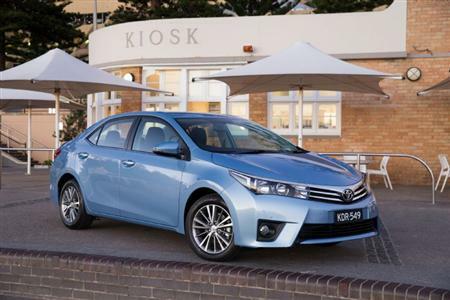 "This combination of emotional and rational factors for purchasing Corolla are set to extend its position as the world's best-selling car with more than 40 million sales over 47 years, and Toyota's best-selling model in Australia with 1.25 million customers." The new sedan range starts at $20,740* for the Ascent - a reduction of $250 despite the advances of the new-generation model and additional features valued at around $2,000. 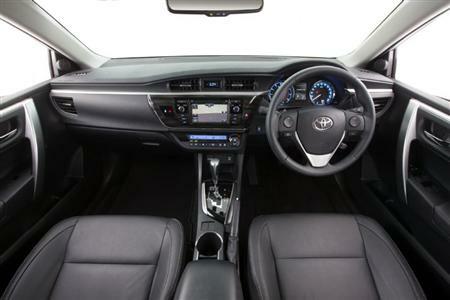 Corolla hatch remains priced from $19,990*. For the first time, Ascent sedan has cruise control, a reversing camera and sonars, multi-information display in the speedometer, and microphone and amplifier for hands-free mobile telephone connection. It can be distinguished from the outside by 15-inch steel wheels and halogen headlamps. Corolla sedan's new mid-range SX variant is better equipped and offers superior value over the previous Ascent Sport while being priced $1,500 below the discontinued Conquest model. New Corolla SX sedan features include 16-inch alloy wheels including the spare, front foglamps, Optitron instruments, keyless smart entry and start, front sonars and interior chrome detailing. At the top of the range, auto-only ZR sedan is $1,000 less than the previous Ultima. Premium features include automatic air-conditioning, rain-sensing wipers, auto-levelling LED headlamps, LED daytime running lamps, satellite navigation, leather-accented seats with eight-way power operation for the driver's seat, paddle shifters and acoustic windscreen. Every Corolla is fitted with a 6.1-inch LCD touch-screen display with Bluetooth® connectivity, an AM/FM tuner, single CD player, USB and iPod® inputs (for suitable devices) as well as an auxiliary jack. Corolla SX and ZR sedan debut the Toyota Link multimedia system that utilises compatible iPhone® and Android™ smartphones to access a suite of onboard apps and services that enable you to find fuel, the latest weather updates and local businesses, all through the car's audio unit in suitable service areas. Toyota Link allows drivers to access informative content without touching their phone. 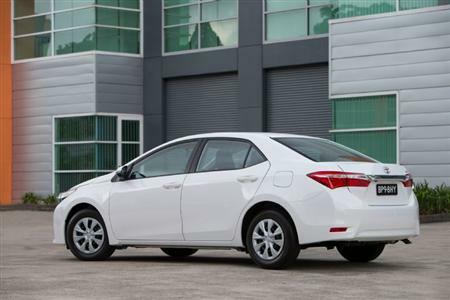 Corolla is designed and built to achieve the maximum five-star safety rating with seven airbags, whiplash injury-lessening front seats, stability and traction control and anti-skid brakes. The proven 1.8-litre petrol engine with Toyota's acoustic controlled variable induction system has been refined to deliver 103kW of power and 173Nm of torque on regular unleaded petrol. A six-speed manual transmission offers wide gear ratios to promote performance and smooth, quiet and refined driving with potentially a four per cent fuel saving (based on combined fuel consumption rating). The previous model's four-speed automatic transmission has been replaced by Toyota's Multi-drive transmission, which offers a sequential seven-step mode and manual override. Its key benefits are smooth driving with no compromise on economy or emissions, better acceleration from standstill than the manual, and a wider range of gear ratios. It feels like a normal automatic transmission because it uses a torque converter. Compared with a conventional auto, it has more responsive gear changes and there is no shift shock. While the seven-speed Multi-drive transmission offers sporty driving, there's also a significant fuel-economy benefit. On the combined cycle rating, it uses just 6.6 litres/100km - an improvement of 10.8 per cent against the previous auto. Corolla sedan is covered by capped-price servicing, Toyota Service Advantage, at a maximum of $130 per service.